Shopping for Peanuts Pop! Vinyl Figures? Good old Charlie Brown never gives up, even though he doesn't usually win. 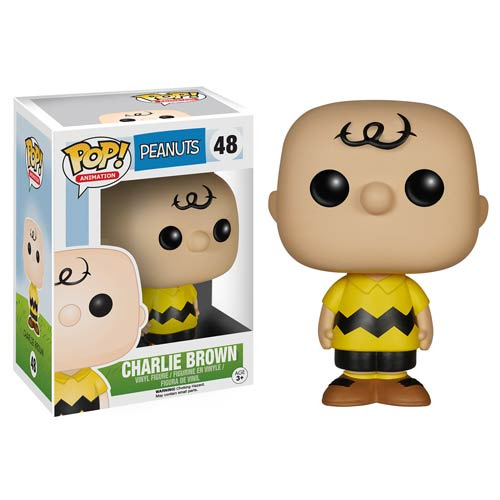 Wearing that classic zig-zag shirt, the Peanuts Charlie Brown Pop! Vinyl Figure is just the thing to have on your desk. This classic Charles Schulz character measures approximately 3 3/4-inches tall. Ages 3 and up.